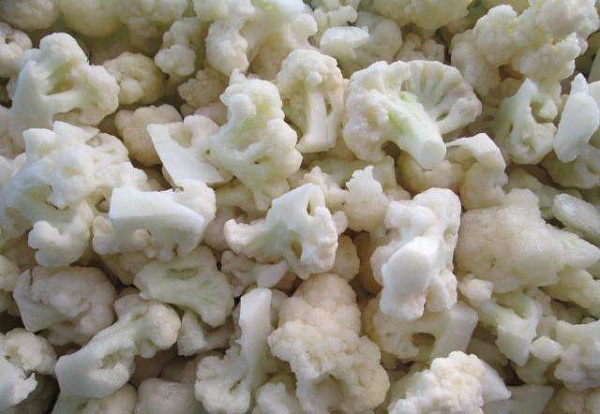 IQF cauliflower should be produced according to HACCP and good manufacturing practice system. Processed through cutting, washing, sorting, blanching, cooling and individually quick frozen. This is an natural product, containing no additives or preservatives. And may therefore be subject to seasonal colour and flavour variations. 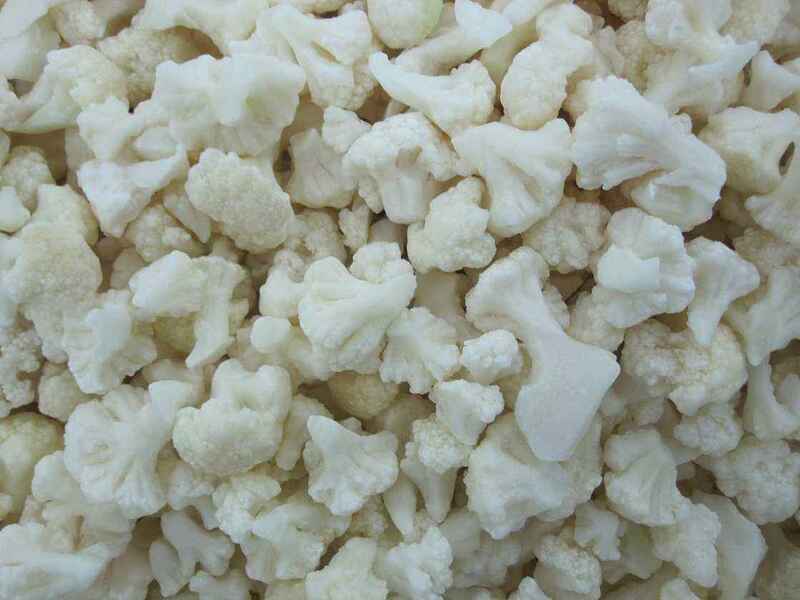 Size/count: cut florets, 3-5cm Colour; typical white colour of the raw materials Taste: typical of the raw materials, without any off-taste. 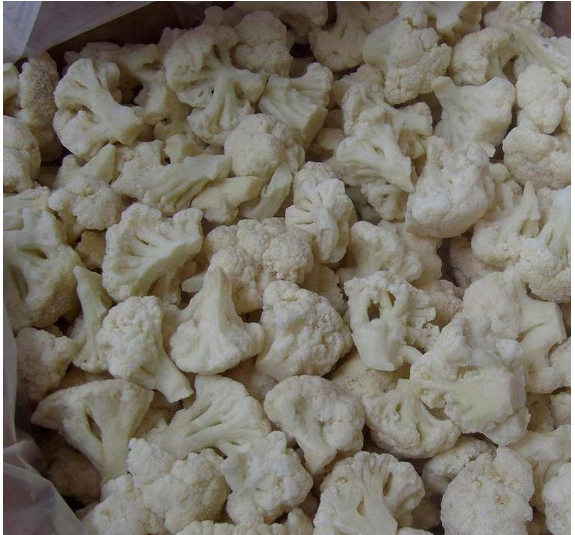 Packing: 10kg/carton or as per customer's request, Foreign substance: non existence Broken pieces/non existence metal/glass/plastic/stone/wood/sand/soil or any other foreign body, Contamination: pesticides, fungicides, metals in line with import country regulations and China National Standards. 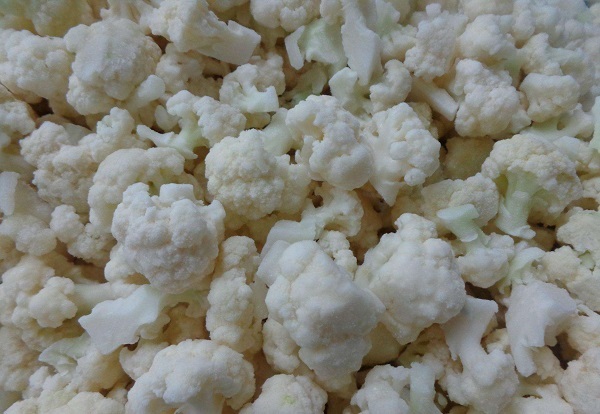 Health Benefits: One serving of cauliflower contains 77 percent of the recommended daily value of vitamin C. It's also a good source of vitamin K, protein, thiamin, riboflavin, niacin, magnesium, phosphorus, fiber, vitamin B6, folate, pantothenic acid, potassium, and manganese. 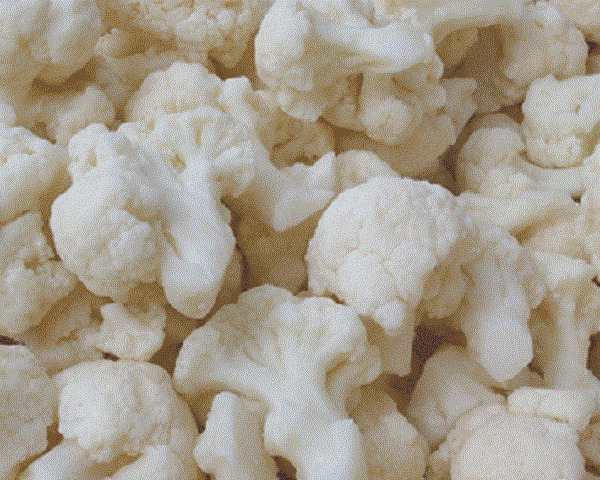 Looking for ideal Calories in Frozen Cauliflower Manufacturer & supplier ? We have a wide selection at great prices to help you get creative. 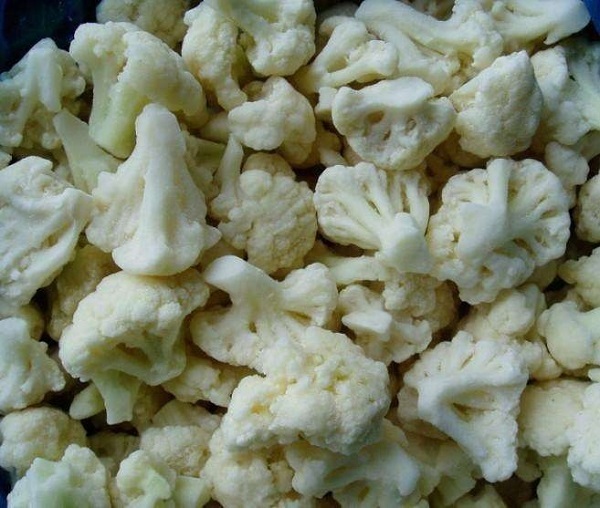 All the Low Price Frozen Cauliflower are quality guaranteed. 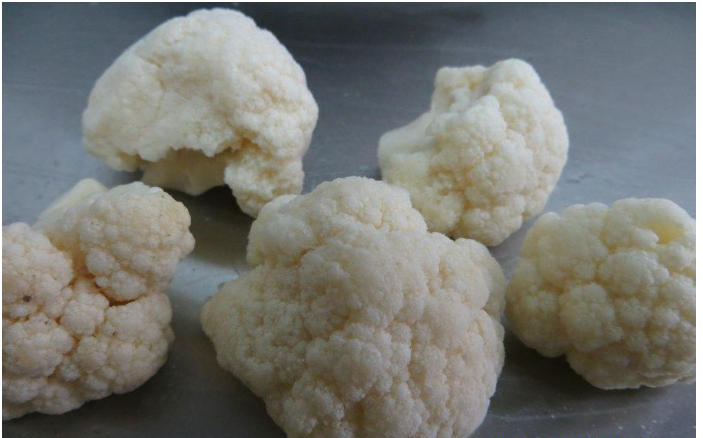 We are China Origin Factory of Best Quality Frozen Cauliflower. If you have any question, please feel free to contact us.